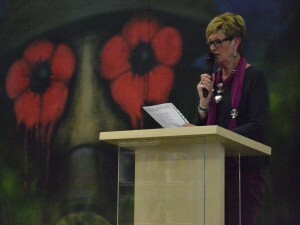 Val J Chapman reading “Somewhere in Gallipoli”. On 25th April 2015, members of Touchstones Creative Writing Group: Shirley-Anne Kennedy and Eileen Earnshaw, produced a performance for the Gallipoli Centenary in Rochdale Central Library. Several other members, Alfie Fairhurst, Val Chapman and Catherine Coward read poetry to mark the occasion, and Ray Stearn (Chairman) played Waltzing Matilda on his home-made xylophone. 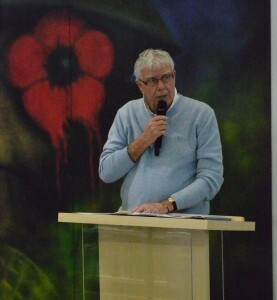 The programme was hosted by facilitator, Norman Warwick. On August bank holiday Monday, 25th, the East Lancs Railway held their annual Teddy Bears’ Picnic, where small children clutching their own little teddy bears, were able to take a train ride along the East Lancs railway line. 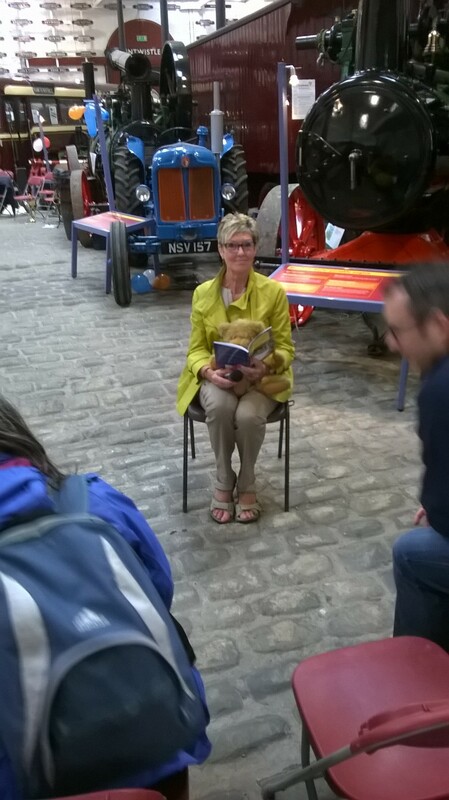 In the Transport Museum across the road from the Bolton Street Station, children’s author, D M Rivers, manned a stall selling his books, and Touchstones member, Val Chapman, read chapters of the stories in Book One of Sleepy, the Magical Bear. 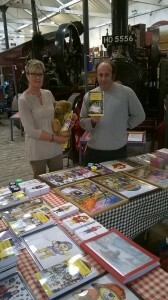 D M Rivers with Val Chapman at Transport Museum, Bury. but the red dress she wore barely covered the whore she’d once been. 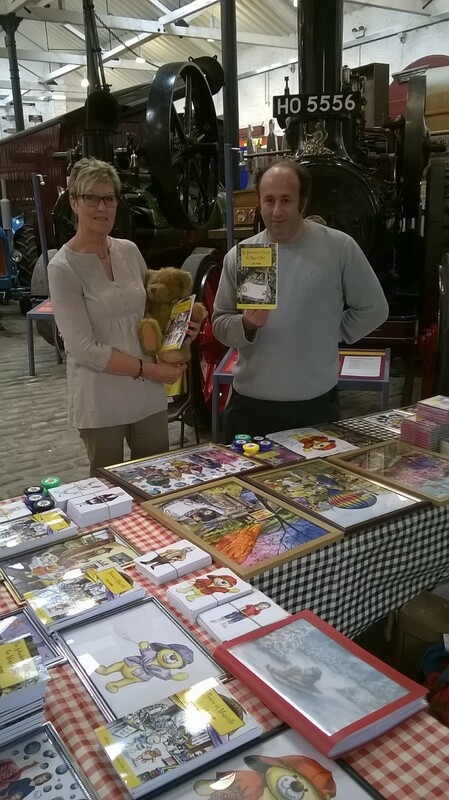 On Bank Holiday Monday, 25th August 2014, the East Lancs Railway held its annual Teddy Bears’ Picnic, where lots of young children enjoyed taking their own teddy bears for a ride on the trains throughout the day. 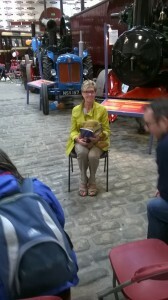 On their return to the station in Bury they were able to visit the Transport Museum across the road where author, D M Rivers, was signing his Sleepy, the Magical Bear books, and where Val Chapman of the Touchstones Creative Writing Group was reading chapters of Book One to the children, still tightly clutching their teddy bears.